For those individuals who are willing to seek Canada’s immigration, Provincial Nominee Programs (PNPs) is the right option. This program nominates such individuals to apply for permanent residence in Canadian provinces and territories. All Canadian provinces and two of its territories possess a unique Provincial Nominee Program in accordance with their needs. However, Quebec is an exception, as it has a different selection system of its own. The provinces and territories participating in this program must sign agreements with Immigration, Refugees and Citizenship Canada (IRCC). This particular agreement allows them to scrutinize immigrants, who fulfill the essential requirements. By following these programs, territorial and provincial governments can welcome newcomers to their region in an efficient manner. 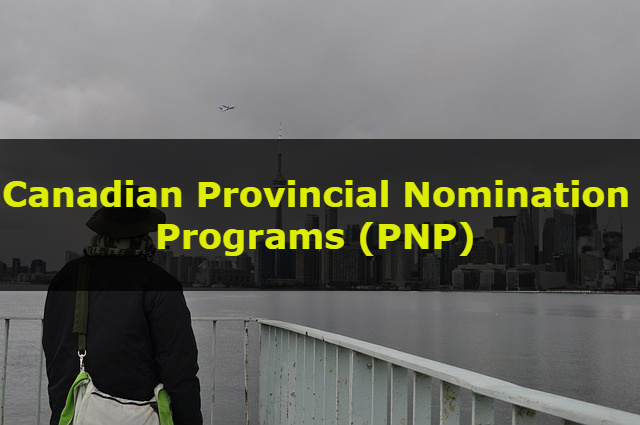 Provinces or territories have a specific Provincial Nominee Program (PNP), tailored to meet their respective needs. In this way, they can select eligible nominees, willing to settle and work in the region. At least one immigration stream of these PNPs works in a close collaboration with Federal Express Entry Immigration Selection System. 2.1 What are these provincial nominee programs? 2.2 Whether Quebec is a Part of Provincial Nominee Program or not? 2.3 Does Provincial Nomination Serve as a Pre-requisite for Canadian Immigration? 2.4 What are the Benefits of Getting a Provincial Nomination? 2.5 Where to File an Application under the Provincial Nominee Program? 2.6 How do Provincial Nominee Programs work with Express Entry immigration selection system? 2.7 Does getting a Provincial Nomination is sufficient to obtain Canadian Immigration Visa? 2.8 What is the criterion of Provincial Nominee Program? 2.9 What is a “base” Provincial Nomination? Provincial Nominee program always serves as an ideal option to submit an application for permanent residence in Canada. This program turns out to be more advantageous when compared to some other immigration programs. Described below are the benefits of Provincial Nominee Program of Canada. Some provinces exhibit a friendly behavior towards employers. If an employer recommends an individual who is competent enough for contributing to Canada’s economy, the province would normally accept such a nomination. However, the employer must provide evidence of eligibility and good faith for such an individual. Provincial Nominee Program ensures a quick mechanism for processing of the application. This leads to awarding of a Permanent Resident status much faster than one can anticipate. Every province has its own criteria regarding PNP, so submitting an application becomes much easier for the candidates. These provincial programs do not have criteria relating to the Point Based System. The eligibility criteria of Federal Immigration program follows a Points Based System, which makes it relatively tough to compete. Nevertheless, candidates may apply through much-relaxed criteria under these Provincial Nominee Programs. Each state has a different Provincial Nominee program with specific requirements. Hence, applicants who failed to qualify under the Federal Skilled Worker program may apply through their respective PNPs. The Provincial Nominee program serves as a sigh of relief for such candidates. Following are the provinces, which take part in the Provincial Nominee Program. What are these provincial nominee programs? Immigration, Refugees and Citizenship Canada (IRCC) is the founder Provincial Nominee Program. The purpose of introducing these programs is to allow Canada’s different provinces and territories to select prospective immigrants. Such immigrants must have an intention to settle in a particular province/territory and contribute to its economic development. Whether Quebec is a Part of Provincial Nominee Program or not? A separate agreement stands between Quebec and Government of Canada. This gives an authority to the province for selecting individuals who exhibit a desire to settle in that province. Hence, Quebec is the only province having an authority to select immigrants outside Provincial Nominee Program. Quebec possesses its very own immigration selection criteria. Does Provincial Nomination Serve as a Pre-requisite for Canadian Immigration? Obtaining a Canadian Immigration Visa without a provincial nomination is possible. However, the process is quite lengthy and chances of obtaining a permanent residence are rare. What are the Benefits of Getting a Provincial Nomination? A Provincial Nomination ensures quick processing of your application for a Canadian permanent resident visa. It also gives a chance to qualify for a Canadian immigration besides Federal Skilled Worker category. Where to File an Application under the Provincial Nominee Program? Eligible individuals can submit an application under the Provincial Nominee Program to the concerned provincial government office. After receiving an invitation to apply, the candidate may submit an application for the Canadian Immigration. How do Provincial Nominee Programs work with Express Entry immigration selection system? Provinces and territories are capable of nominating a specific number of candidates through the Express Entry system. This mechanism is necessary to meet the needs of provincial and local labour markets. This authority of Provincial Nominee Program refers to “enhanced” nominations. Obtaining an enhanced nomination allows candidates in the Express Entry pool to get 600 points under CRS. When added to candidate’s skills transferability points and human capital, it enhances chances of receiving an invitation to apply. After a draw from the Express Entry pool, eligible candidates may receive the ITAs for Canadian permanent residence. It is necessary for all candidates to meet the eligibility criteria of one of the following federal economic immigration programs. This rule enables candidates to enter in an Express Entry pool and seek nominations. It may happen that provinces and territories introduce additional criteria for their immigration streams. Does getting a Provincial Nomination is sufficient to obtain Canadian Immigration Visa? It is necessary to satisfy IRCC regarding statutory requirements of Provincial Nominee. Meaning thereby that such nominee fulfills the requirements of security, health, and authenticity of documents. What is the criterion of Provincial Nominee Program? Mostly, individuals who are capable of contributing to economic growth of the province are likely to receive a nomination. Furthermore, such individuals must have an intention to reside in that province. Following criteria is of great importance and candidates must meet such requirements in order to seek nominations. What is a “base” Provincial Nomination? Provinces and territories are also capable of awarding nominations to eligible candidates under their regular or “base” nominee program. These PNPs can work outside the ambit of Express Entry system. Individuals who failed to meet the eligible criteria for entering the Express Entry pool can still file an application under a base PNP. Nevertheless, they must fulfill the eligibility criteria for the provincial nominee program. Base nominations serve as a perfect opportunity for those individuals who failed to meet the requirements for Express Entry Canadian immigration. The applications of such candidates, who receive a base nomination, are outside the domain of Express Entry. The process of first receiving a base nomination and then permanent residence completes in two-steps. The first step is to apply after meeting the criteria for a PNP stream and then receive a nomination certificate. After receiving this certificate, candidates may file an application to the federal government for Canadian permanent resident Visa.